This article looks at the different F1 chassis available as a guide to getting started in F1 racing. All of the cars in this guide are legal under the Australian National F1 Rules but if you live outside Australia check your local rules for restrictions or check with your local club before you buy. Up until 2012 Tamiya dominated the F1 class with various models to choose from but in the last few years a large number of manufacturers have brought out F1 kits. So we are spoiled for choice, which can make it hard to pick a kit. The purpose of this guide is to break down the more popular options to make your decision a little easier. Unlike touring cars or Minis, F1 cars do not have an independent rear suspension. This actually simplifies car setup as there are fewer adjustments to get to grips with. 1. Who else runs it at your local track? If another racer has a car that handles well, and is prepared to share their ideas, then buying the same model of chassis may be a smart move. So an early step is to visit your local track and talk to other F1 racers. 2. Parts availability. If they are on the shelf at your local hobby shop then that's a big advantage when you break something. Unfortunately this is the exception rather than the rule. Check out our Links page for a list of online stores that stock F1 parts and kits. If you can't find a store that stocks parts, either locally or online, then don't buy it. We'll now discuss the different options available so that when you visit the track you have some initial ideas. Of course, shops often have specials so make sure you shop around. Something we've listed as a High End priced kit you may find on sale! 3Racing FGX Evo 2018 - this kit is great fun and the fully independent suspension can provide good grip. It comes with wheels/tyres and a pre-painted shell in a choice of colours. It is not a competitive racing chassis and may not be legal to race at your local club due to the suspension. It uses a non-standard wheel size which may be difficult to buy. However, this kit is the lowest price kit available at time of writing. Tamiya F104 Pro II – this is not a serious racing kit but its T-Bar design may provide grip on unprepared surfaces such as a car park. If you can find one for the right price then this can be a fun basher or good looking shelf queen (Tamiya sometimes bundle these cars with great looking pre-painted body shells). Budget kits are a great way into F1, and to have fun, but they aren't as competitive as some of the more expensive kits. CRC WTF1-FC16 – CRC have significant experience with pan car chassis and the FC16 is their latest F1 car. It uses Imperial/Standard hardware (ie: measurements are in inches). Roche Rapide F1 Evo – Roche also have significant pan car experience. Their P12-2017 1/12th car won the 2016 IFMAR world championship. The F1 Evo is their latest F1 chassis. VBC Lightning FX18 – VBC have brought to market five F1 kits since 2013 showing a deep commitment to the class. Xray X1 – Xray have brought out a new F1 kit every year since 2015. They are at the higher end of the price scale but they are extremely robust and difficult to break. Proven racing performance. Quality documentation and support. One of the most popular chassis. Tamiya TRF 103 – Tamiya have released more F1 kits since 1977 than all the other manufacturers combined. 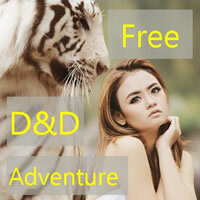 Their latest TRF103 is a new entrant but is based on the proven TRF101 and TRF102 kits. The only kit currently on the market to offer both a standard rear end and a T-Bar rear end for lower grip conditions. Serpent F110 SF3 – Serpents third F1 chassis. Comes with aluminium chassis as standard. Adjustable wings. Team Associated RC10F6 Factory Team – this is Team Associated’s first F1 car but it has already proven extremely popular. The street price of these kits can vary significantly and cars we have listed as “High End Priced” might be found for a “Mid-Range Price”. 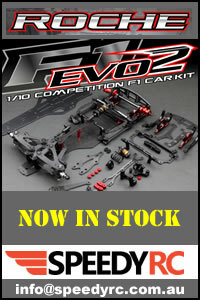 Yokomo YR10F - We have read mixed reviews on this kit. However, the earlier YRF001 was very good so Yokomo know how to produce race winning F1 cars. Infinity IF11 - This kit has been positively received by critics. One to keep an eye on. If none of these chassis excite you then check out our F1 RC Manufacturers page for all available chassis. There are a number of F1 kits that are either not particularly popular at time of writing, or they are only popular in particular locations around the world. If you are an experienced F1 racer then you may like to check them out for something different. Only you can answer that but hopefully this overview allows you to cross off some things you don’t like and identifies options you’d like to explore further. Next stop – a detailed look through our Manufacturers section for a full list of the kits available.